This hoppy, brisk and refreshing Pale Ale is indescribably complex, but holds tenaciously to Japan’s prime aesthetic value – balance. It’s a perfect beer for drinking now, later, tomorrow, the next day, every day. To Japanese, Fuji-san (Mount Fuji) is a natural icon emblematic of the nation. 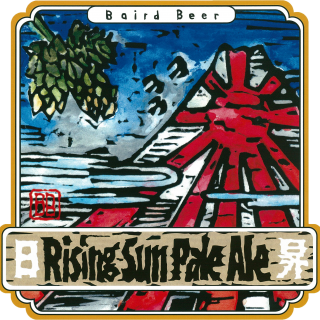 Rising Sun Pale Ale is a beer emblematic of Japan’s legendary culture of craftsmanship. A Pale Ale is to the Ale beer world what a Pilsner is to the Lager beer world – a go to style widely brewed and broadly loved. If I was cursed by god to drink but only a few beer styles the rest of my days, Rising Sun Pale Ale would make the list. Hops are the spice of beer. They contribute bitterness, flavor and/or aroma to the finished beer depending upon the timing of their introduction into the hot wort or cold green beer. Generally speaking, hops added early to the wort boiling process contribute bitterness which provides a nice balance the malt-derived sweetness. Hops added late to the wort boil contribute diverse flavor and subtle aromatic characteristics. Hops also can be added after primary fermentation to the cold green beer in a traditional process known as Dry Hopping. Dry hopping is undertaken with one aim in mind – infusing the beer with aromatic hop oils and resins that produce an exquisite bouquet, often described as fruity, floral or spicy. Hops can be used by brewers in several forms, most notably Whole Flower Cones, pellets and extracts. Whole flower cones are hops in their most natural and minimally processed form. I believe the more you process something the more character you knock out of it. We use only whole flower cones in Baird Beer. This practice is old school and almost unheard of these days, but I believe wholeheartedly in the character superiority of the whole flower hop. 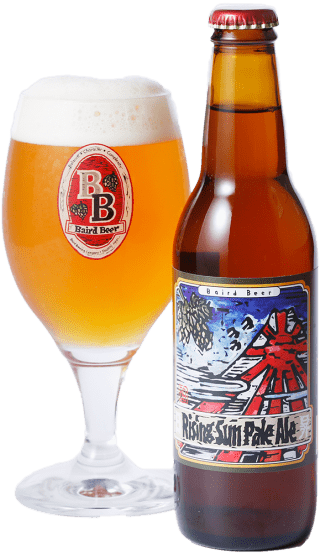 Rising Sun Pale Ale features whole flower hops grown mainly in the U.S. Pacific Northwest, a region known for the wonderful citrusy and piney character of its hops. 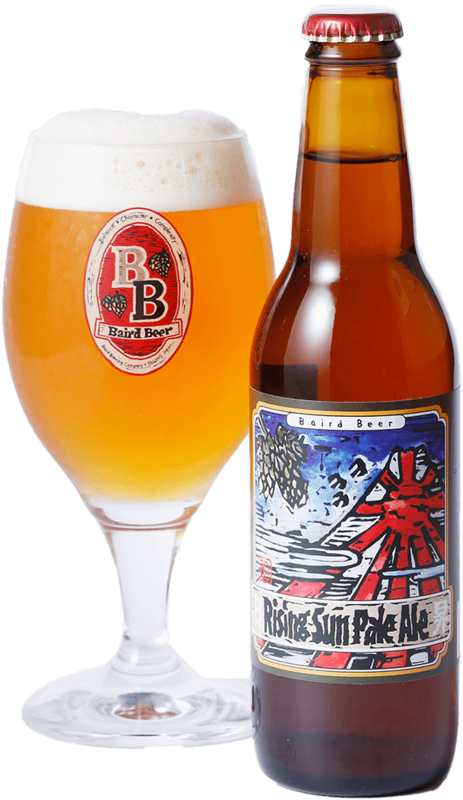 Rising Sun Pale Ale is one of our signature dry hopped beers. I recommend it to anyone wanting to experience the glorious character that whole flower hops can impart to beer.